Harwich & Dovercourt hosted the Doug Tomlinson Memorial Trophy and 2002 (Round 4) at their Dovercourt Seafront venue on Sunday 8th September 2013. Ten Six Metre yachts arrived at the Dovercourt pond, representing six different clubs, and were greeted with conditions which enabled Nigel Gilson, the Officer of the Day (OOD), to set a Windward Leeward course with the start at the wide end. The strength of the Fleet was emphasised by the fact that four of the competitors could still win the overall 2002T series. Terry Burton set the early pace winning the first race, whilst National Champion Vernon Appleton won two of the first five. Jon Alexander, the holder of both Trophies in 2012, was the more consistent sailor and took an early lead overall. Vicki Mills of the host club won the third race to show that the fleet was going to be competitive throughout. Geoff Earle (winner of the Sextant Trophy) had to wait until race 7 before registering his first win. Lunch arrived with Jon holding a slender lead over Vernon with Terry a very close third. 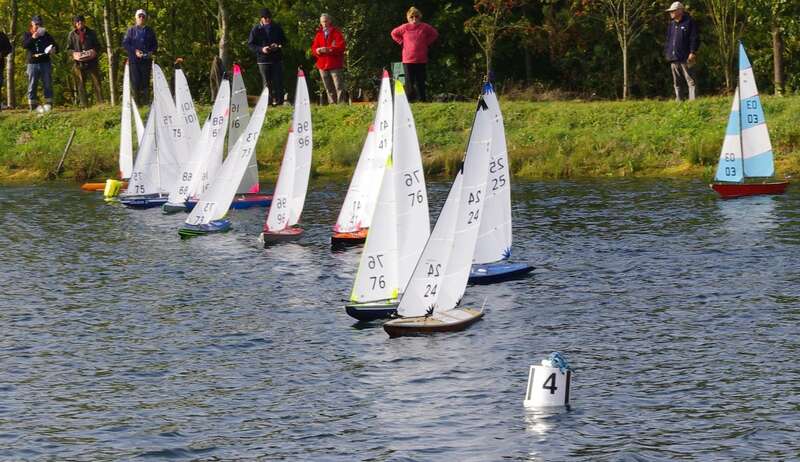 The afternoon session saw some excellent races in, at times, squally conditions, indeed sail changes were made by some whilst others gambled that the wind would abate. Nigel made minor course adjustments to ensure a good three beats were sailed. It was testimony to the skill of all the skippers and their boats that only one retirement was recorded until race 12, when Jon and Terry had a coming together which resulted in discards for both of them. The middle of the fleet saw Geoff Earle improve his overall position and Henry Farley gain his first win, whilst Bernie Guest was unable to build on a sound morning’s sailing. 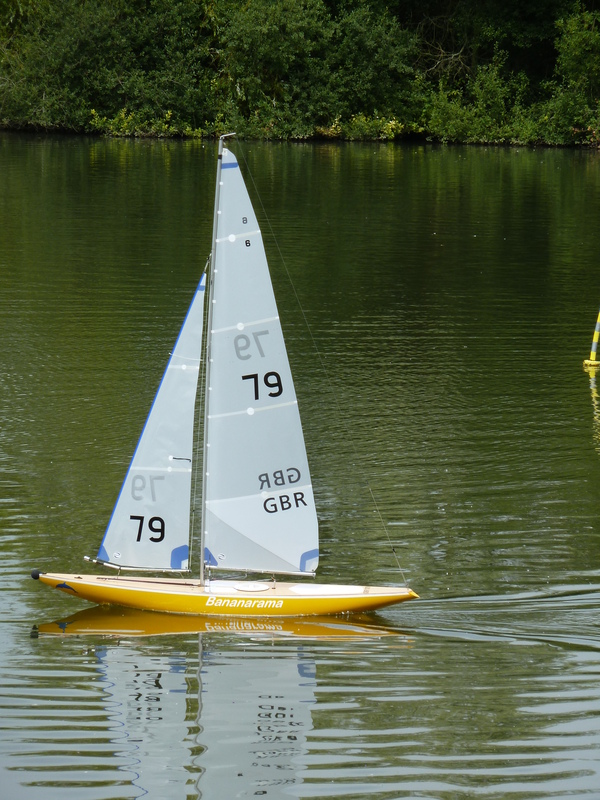 Malcolm Button and Mike Ewart both had teething problems with their new boats, whilst Derek Davies had some close battles with them lower down the order. Throughout the competition the skippers acknowledged the observers’ calls and those guilty of an infringement did their turns. This saw the need for no protests to be heard. The top three skippers held their lunchtime positions to the end of the day. This enabled Jon to retain the Tomlinson Trophy, but Vernon narrowly won the 2002T Series from Jon by virtue of better result in a previous event, with Terry coming third in both. At the Prize Giving Jon thanked the Race Committee for their hard work and all the competitors for a good day’s sailing. Four local skippers and boats plus two from Lee Valley gathered at Harwich & Dovercourt on a sunny morning to find very little wind for the Tomlinson Memorial Vase event. However after Race Officer Robin Bloyce sensibly chose to wait a short while, there was enough for him to set out the course. With the wind almost in our faces it gave him little option but to use the wider end of the lake and have two port rounding triangles and a sausage with short beats to the opposite bank. The start line was set at an angle to the near bank so with everyone starting on starboard tack there was a pinch point at the starboard end of the line resulting in much chaos for many of the starts. With several approaches to the windward mark on port tack chaos ensued there at times too. Jon Alexander was hard to beat though Geoff Earle gave him plenty to work for and Vicky Mills was usually near the front. The two visitors had their moments too but could probably claim most of the stupid mistakes. Malcolm Button’s ‘near’ Rococo loses out on sail area but went quite well at times. Despite the difficulties it was a grand day of sailing in very nice sunny weather with enough wind to keep the boats going. Robin and his team of Mike Collins, David Maine, David Kerridge and a few others whose names I did not get, kept us going almost continuously so we managed 21 races before 3:30. 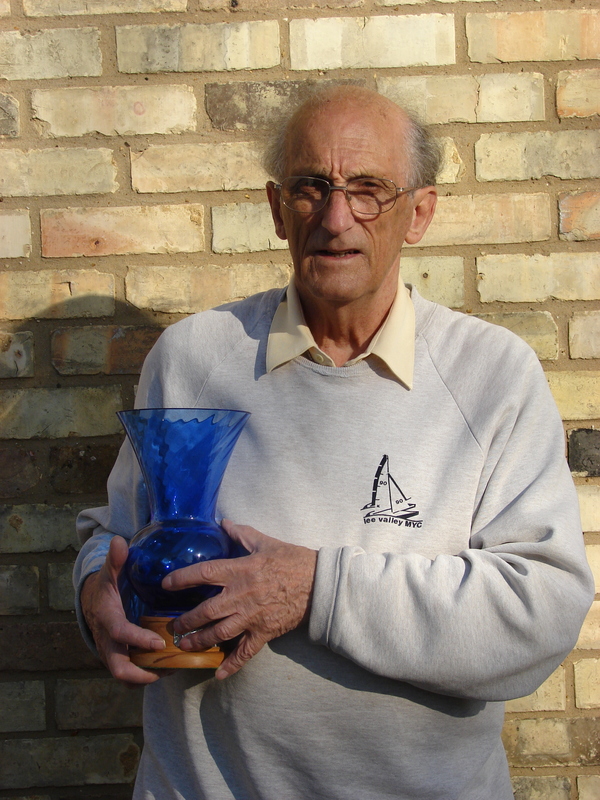 In the end Jon took the Doug Tomlinson Memorial Vase by a few points from Geoff, and Vicky was close in third place. The event was the final round of the 2002 trophy Series where unfortunately two rounds were lost due to insufficient entries. With three new boats being prepared at Doecourt perhaps we will get more entires next year. Jon’s win gave him the best total for the series so he took the series trophy too. I must say that I have never seen such a surprised winner! Four Rococos, three Ravennas and an Octavia, with their skippers, arrived at Coalhouse Fort on a bright and breezy Sunday 17th June. The occasion was the Hope Reach trophy which doubled as the second round of the 2002 trophy series. Vernon Appleton was the Race Officer ably assisted by Graham Childs and Alf Reynolds. A standard triangle and sausage course was set and apart from one realignment as the wind veered a little soon after the start, it remained all day. Terry, Jon and Bernie thought the wind strength was a bit high for comfortable use of top suit so employed main sails with reduced width though still full height. The rest stayed in the full top suit and managed reasonably well though there were times when control was lost or at best difficult. Not that it was only those with the full area that struggled in the occasional gust though Geoff Appleton and Henry Farley were the only ones to finish up stranded on the lee bank! National and District R6M Champion Terry Burton looked to be set to show the way again by taking the first race comfortably. There was very close racing between these four for most of the day although others poked their noses in from time to time to add to the pleasure. By Race 8 Terry had added another couple of wins while Geoff and Henry added one and Jon won his first race. In the pre-start manoeuvring for Race 8 Geoff took off Henry’s jib by breaking the swivel cord so Henry missed that race while repairing. Geoff retired while Henry was subsequently given redress as average points for the preceding races. That gave Terry the overall lead with 11 points followed by Henry with 11.2, Jon with 19 and Geoff with 20. By Race 12 Jon and Henry had each added another two wins which changed the order again. By now Henry had quite a good overall lead with18.2 points to Terry’s 24 , Jon’s 28 and Geoff’s 33. Disaster struck in Race 13 when after taking a useful lead Henry’s rudder rudder shaft snapped on the last downwind leg so with no control he failed to finish. With the final race about to start he was unable to replace it in the time available and so forfeited the last race too. Jon and Terry won those two races to give the final scores shown in the table below. Although the rest of the fleet didn’t figure in the wins they all had their moments of delight if not final success. Bernie was often ‘troublesome’ to the top boats by making them work hard for their places and managed a coupe of second places as his reward. Geoff Earle was sailing a new, as yet unmeasured, Rococo that he had moulded and we expect to see him do better as he gets to grips with it. Vicki, sailing the ex Jono Knight Ravenna which she now owns, was bothered by an intermittent winch fault though at times was well placed. Malcolm too had his moments until his kicking strap broke in race 8 so he had to withdraw from the rest of the races. Rumour has it that his wooden Rococo will soon be replaced with one of Geoff Earle’s mouldings so we expect to see him more competitive in future. 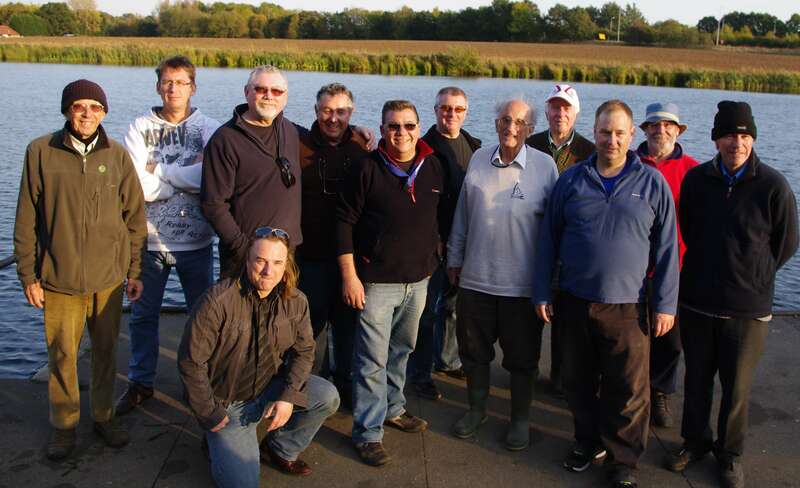 Sunday April 15TH 2012 saw 5 skippers convene at the Broads for the Shearwater 6m Trophy. The day started cold and dry with a fresh, gusting to strong, north north easterly wind coming almost straight down the broad, which remained consistent in direction for the day. Race officers David Grint and Rick Buxton were faced with abit of a course challenge. As we all know six metres don’t appreciate too much wind, so a decision was made to use 2 triangles of port rounding with a broad reach finish fairy close in to the control area to offer a course with a bit of shelter.The first buoy 1 proved to be a real tactical challenge with a fast run down to the second marker giving rise to some rocking and rolling ‘Sixes’. It was not long before the wind was causing rigging troubles with most of the skippers having to experience running repairs in between races throughout the day,- Who says Filby always sails light airs! Broads skipper Terry Burton had an impressive morning’s sail, his Ravenna taking six race wins and a second place, largely by keeping out of trouble and in front of the fleet. Harwich and Dovercourt skipper John Alexander on his first welcome sail at the Broads sailed into second place four times. Geoff Appleton from Coalhouse was a fairly consistent third place finisher with his Octavia, and not to forget Malcolm Button from Harwich and Dovercourt finishing in 4thplace several times with his nice varnished wood Rococo. For Broads’s member Bernie Guest, sailing a Ravenna, it turned out to be an eventful day. A coming together early-on in race two damaged his rigging, needing repairs. Thanks to all those who assisted in their friendly way to get Bernie back out on the water for race 8 before lunch. It was not long, into the beat up the Broad in the blow, that a cry was heard from Bernie – “I am sinking!” Soon the hull was sitting almost up to deck level. Race officer Dave Grint, assisted by Bernie, manned the rescue boat for a salvage mission in a squall of hail and rain, successfully reaching the ‘6’ before it was about to go under. Thanks to Rick for taking charge to score those still sailing in the race. Sadly for Bernie, with water logged electrics his day’s sailing ended abruptly. A welcome early hot lunch break in the café was much appreciated by all. The after noon session was still pretty windy but was dominated by Geoff Appleton taking six first place wins in a row from Terry Burton who suffered from a snagging jib sheet on several races. John Alexander and Malcolm Button continued to be consistent third and fourth through out the now showery conditions. Summing up, one could say a cold, challenging and eventful day’s sailing, considering the conditions; albeit with limited entries not enabling it, therefore, to be scored for the 2002T series. The wind was forecast at about 13 mph though it was much lighter to start with. That pleased some with boats that expect to do well in the lighter winds but the wind strength later increased to the predicted level! The blustery conditions caused some havoc and there were three requests for redress, all granted, as results of damage caused, though none at the windward mark. There were two separate incidents at the start of race 8 after the lunch break, one of which caused damage to Henry Farley’s hull requiring a repair. The other, resulting in damage to John Taylor’s rigging again requiring a repair. The third was in race 12 when a coming together between father and son, caused damage to Vernon Appleton’s rigging which required a repair. Apart from 4 races, 3 of which he discarded, Terry Burton sailed consistently well. Vernon Appleton was extremely close, again by consistent sailing and the final result depended on the last race. Vernoncould have taken the title by finishing one place behind Terry but with a win to Vernon’s 3rd, Terry took the title for the second year running. It was John Taylor who got between them in that race and with good results in the last three races John pulled out a little from Rick Buxton and Henry Farley who were not far behind in the final scores, to take the 3rd place. Scores increased somewhat below 5th place though Bernie Guest in sixth place did secure a couple of wins during the day. That put him ahead of Geoff Appleton who had the same score. Brentwood club don’t sail the R6M class but turned out in strength to run the races including doing all of the observing. Not only that but they were continually helping the less mobile by launching and retrieving their boats, a service that was very much appreciated as conditions for that were not easy. Our thanks go to the club for an excellent day. Depending on which weather forecast you looked at, today was to be anywhere between continuous rain and sunshine, with strong winds. Certainly I drove through rain for 1 hour and 45 minutes on my way and it was still drizzling when I arrived though very little wind. Local forecasts where more optimistic and so it proved. The drizzle soon stopped though there was still little wind to start with. However as the day progressed the wind increased to a good top suit blow and at times we began to wonder if we would have to change down. We finished in brilliant sunshine. From the start it looked as if it would be a fight between Bernie Guest and me and so it was for the first 5 races but then Robin Bloyce poked his nose in! Actually he was never far away and sailed Malcolm Button’s planked ‘near Rococo’ very competitively so it was never going to be a foregone conclusion. What probably settled the final result was a matter of who made the fewer mistakes as we all did some silly manoeuvres which enabled the remaining one or two to get away. There was also some very close racing when we all got our acts together. David Fowles is a newcomer to our sport and the pretty Dolphin was rather out-classed by the other boats but I’m sure he learned a thing or two during the day if only that it really doesn’t pay to try to start on port tack at the other end of the line! At the end there was not much difference in the scores of the top three with yours truly taking the title of District Champion and winner of the beautiful blueCaithnessglass vase that is the Doug Tomlinson Memorial Trophy. 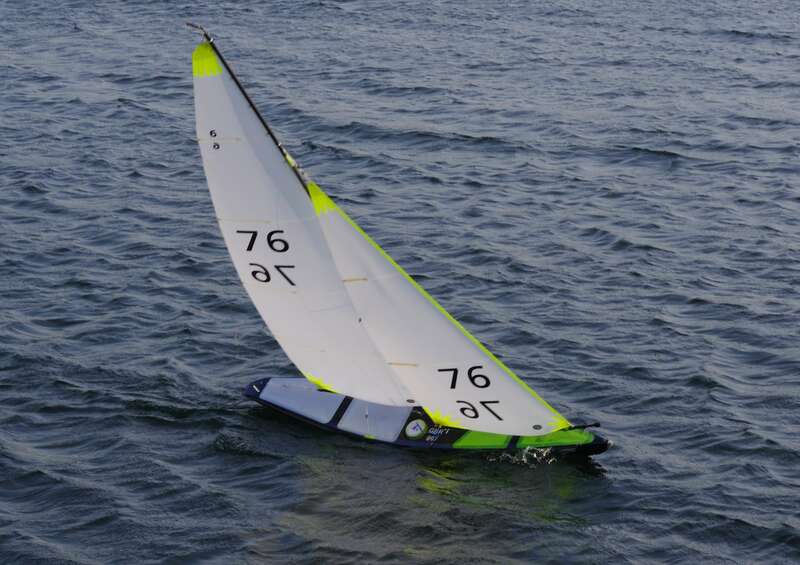 So ends the 2011 season of Six Metre racing in the Eastern District 2002 Trophy Series. It is rather disappointing that 2 of the 4 events did not attract the required minimum of 6 boats to count as an event. Having won the other two that leaves me as the winner of the 2002 trophy for 2011. Our thanks go to the Harwich and Dovercourt team that organised the event for today and all the folks that did the same for the other events. It is not quite the end of Six Metre racing in the District as we have the MYA National R6M Championship on October 23rd atBrentwood. If you have a Six and have not yet entered then I’m sureMalcolm Schaffer will be pleased to hear from you. 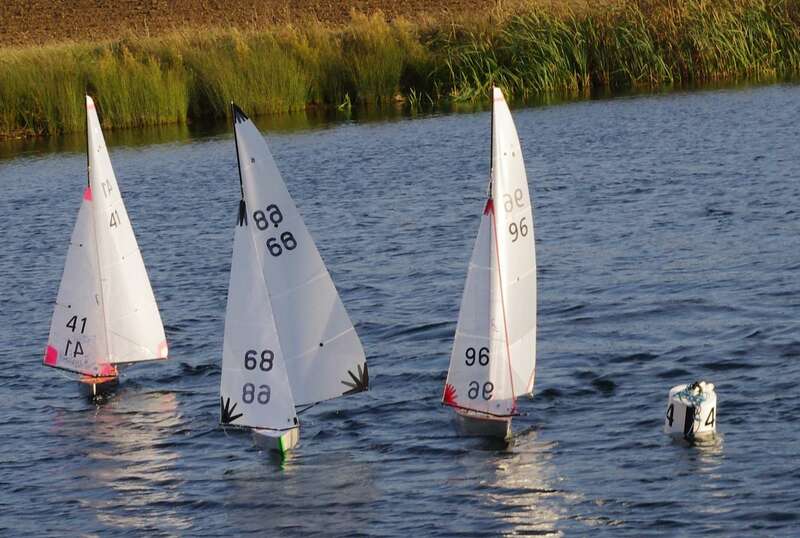 Lee Valley MYC hosted the Sextant Trophy and Round 2 of the 2002 T on Sunday 22nd August 2011. Throughout last week the weather for today looked unpromising with a strong likelihood of rain. Luck was on our side as we had a fine day though perhaps a little more wind would have pleased most. Race Officer Vernon Appleton set a conventional triangle and sausage course with a combined start and finish line part way up the windward leg. The wind stayed more or less right for the course though there were times when the wind direction changed significantly – and then back again! Two locals, John Davies and Henry Farley, with Rick Buxton close behind took the first race while Rick pipped John for the second with Rodney Latham looking to get into his stride too. Henry got it wrong somewhere to only manage 5th for that race while in the 5th race he picked up the only significant bit of weed seen all day to finish last. That was not a race to remember for Malcolm Button as he got involved in a collision when on the wrong tack and lost his jib so was DNF. The results rather speak for themselves as Henry won every other race. There were some occasions where others helped out by getting themselves in a tangle when ahead though even starting from the rear the Revival showed it’s pace in the conditions by winning. Vernon chastised the skippers at one point as he considered that there were too many collisions that were avoidable. Penalty turns were usually done promptly so only one protest came ashore when both skippers thought they were in the right. Inevitably one paid the ultimate penalty!John Jonesacted as observer and boatman though I’m sure he was disappointed that only one incident needed his attention! Harwich & Dovercourt came to his first ever open even with the classically shaped Dolphin called Bananarama, suitably coloured bright yellow. So it was nice to introduced them to one another as Roger designed the Dolphin as a vane boat many years ago. Why wooden wonder as the subject? Most will perhaps think of the original wooden wonder as the Mosquito twin engined WWII aeroplane that was designed at Hatfield where most of them were assembled. Today’s wooden wonder was a beautifully planked Rococo which had it’s final assembly at Hatfield! The Sextant Trophy is part of the 2002 Trophy series. Unfortunately the scheduled round 2 at Coalhouse Fort failed to attract the necessary 6 boats to qualify so today’s event becomes round 2. Only Henry and Rick have sailed in both rounds so rather stand out from the rest. The final round in the series will be the Tomlinson Vase at Harwich & Dovercourt on 9th October. This year that event will also be the Eastern District R6M Championship. Thanks to Henry Farley for the report. 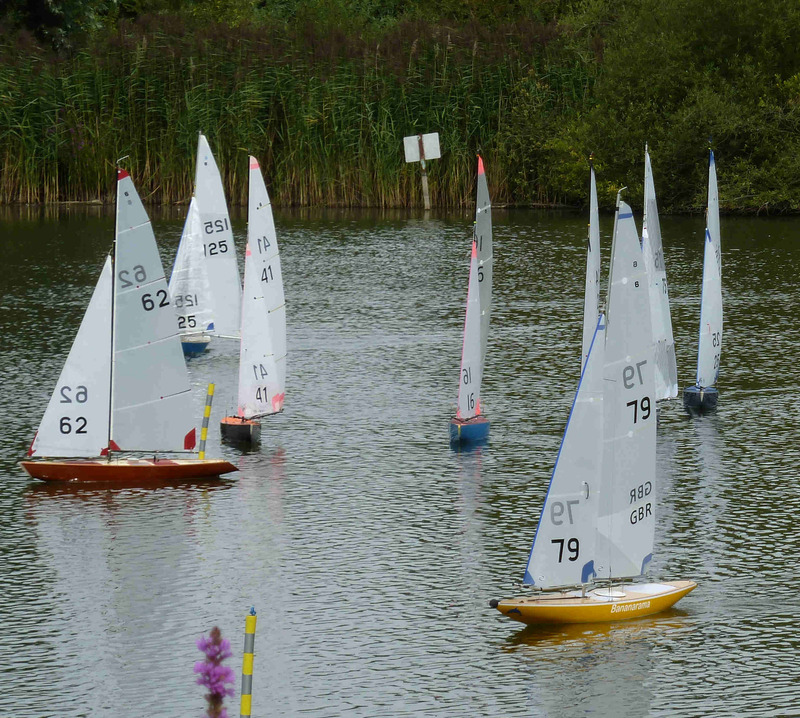 Coal House Fort hosted the Hope Reach Trophy on Sunday 19th June, but with a low entry of only 5 boats, the event did not meet the condition ( 6 boats minimum) to count as part of the 2002 Trophy Series. This condition was introduced at an Eastern District AGM in response to events where only 4 boats from the home clubs competed. We were threatened with rain in the afternoon following a fine morning. Almost the reverse occurred though the rain didn’t amount to much. Race Officer Graham Childs took pity on weaklegged skippers like Rick and I by setting a shorter course than possible. We appreciated that and probably so did the others. The wind was a good top suit blow but the forecast was for it to increase – and it did. Rick and I changed down after lunch and that made the boats easier to handle though those who stuck to top suit took advantage in the lighter spells. When we started we joked that we must let Rick win as he had forgotten to bring back the Hope Reach Trophy that he won last year. Perhaps that was a mistake as the results show! Joking aside he was a worthy winner taking the finishing line first in 10 of the 14 races usually following a good start. I won the other 4 races three of which were when Rick was disabled so little credit there! Before race 3 Rick broke his kicking strap so we gave him time to try to repair it but then started without him. After rigging a line and bowsie as a temporary kicking strap he was back to winning again. Then his jib attachment let go in race 9 so he finished last but, as Geoff had a problem and couldn’t finish, it shows a score of 4 not 5. Geoff had a trying day as his rudder servo packed up in race 6 and he missed race 7 while replacing it. Then in race 11 his winch stopped working but spoke to him instead. As it was in a foreign language (a series of beeps) he couldn’t understand that and no translator was available! Thus he had to withdraw from the last 3 races. I’m not sure what happened to Malcolm when he failed to finish in race 10. I had the back stay crane come adrift at the start of one race, probably through carelessness when making an adjustment, which did my start no good at all. As far as I remember that leaves Rodney as the only one whose boat did not suffer a problem! Our thanks go to Coalhouse Fort club for organising the event (that really means Geoff) and to Graham and Lynn Childs for running the event. Full results can be found on the ‘Results’ Page. Sunday 17th April saw light easterly winds forecast for the Shearwater Trophy and 1st round of the 2002 trophy for 2001. When 6 from theBroads, the home club, and two visitors arrived it was certainly very light, in fact almost nothing. The race team of David Grint and Clive Burrel had little choice but to set a start towards ‘that’ right hand corner! The course was a port rounding triangle and sausage with the combined start/finish line about midway along the windward/leeward leg. Perhaps needless to say the wind was highly variable in direction and strength though not much of the latter at any time. As we lined up to begin one early race it looked as if it would be a running start but by the time the gun went it was indeed a beat. And so it continued all morning with the wind direction continually changing around the course. As the results show,Terry Burton got off to a good start and, using what he called local knowledge, won the first three races and looked set to dominate throughout. Bernie Guest and Phil Hulson took two wins apiece to spoil Terry’s run of wins but he still led by a very good margin with a net 11 points at the lunch break after race 7. At that stage the rest of us were ten or more points behind. Maybe it was something he ate but the afternoon Terry didn’t do so well while Henry Farley had a better run. More likely is the fact that the wind settled down to be more consistently easterly and picked up strength a little. Rick Buxton and Bernie Guest plugged away with a variety of scores to finish 3rd and 4th with only one point between them. Phil’s results fell away after showing as strong challenge at times to finish a little behind Michael Howard.Peter Suttonand Tom Wilkinson struggled with the conditions to take the last two places. The fact that almost everyone won at least one race says something about being lucky to get your boat at the right place at the right time. It was not unusual to see the leaders well ahead with the second half of the fleet almost becalmed. No incidents came off the water and there were few at all though some of us managed to hit some of the buoys from time to time!